The mystery matchmaker has struck again! Independence was a quiet little town, until the antics of Mercy, Martha, and Maude brought a mail-order bride last summer for their unsuspecting pastor. Now, four mail-order brides later, the town is about to get another, only this bride, (not to mention three out of the previous four) were sent for by a mystery matchmaker! 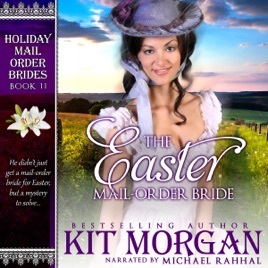 This time Jess Templeton is the unsuspecting groom, and chaos erupts when his bride arrives. Now the whole town is in an uproar (thanks to Jess' mother) and the hunt for the "mad matchmaker" begins! Can Jess and his bride Sarah's romance blossom during such chaos? Or will his mother have her way and make sure Sarah is sent right back where she came from? Discover along with the rest of the townsfolk what happens in this light-hearted romp full of mystery, romance, and a few surprises!